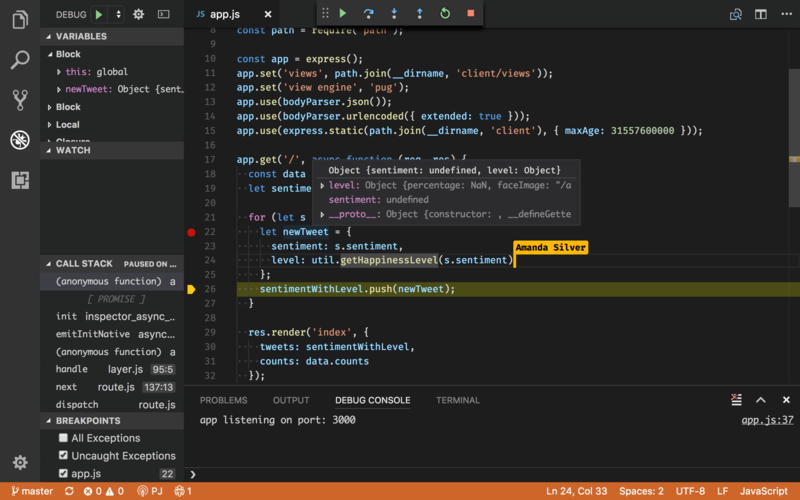 Microsoft recently introduced a new tool called Live Share that provides software developers with a way to collaboratively edit, debug, and fix code in real-time without leaving the comfort of their own text editors or IDEs. 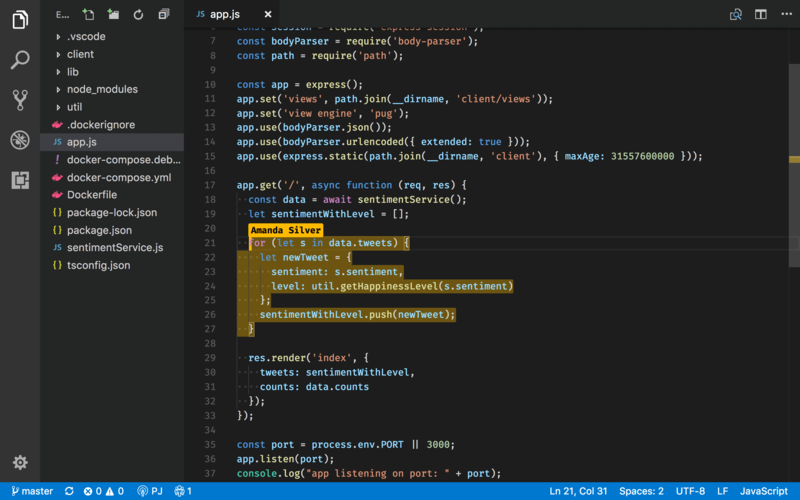 The extension is available for both of Microsoft’s main development tools: VS Code, its free open-source cross-platform code editor, and Visual Studio, its full-fledged IDE. Code collaboration often requires either screen sharing, which limits interactivity, or text-based messaging, which becomes a clunky mess of copying and pasting code snippets and trying to replicate environments. In the worst case scenario, you might have to commandeer your colleagues computer or clone everything and install new dependencies. Live Share makes code collaboration effortless and straightforward. If you want to try out Live Share, head over to the extension marketplace or check out the GitHub repo. Microsoft also offers the Live Share Extension Pack, which provides integrated voice calling and text chat, via Slack and Discord, by including two additional extensions, Team Chat and VS Live Share Audio, alongside the core Live Share extension. The pack is worth downloading to get the full experience. Once you (and a team member) have the extension installed simply open up VS Code and click the Share button in the status bar toward the lower left of the editor. You’ll get a link to your workspace that can be shared simultaneously with any number of colleagues. Once you’ve begun sharing a session, teammates can jump into your code from their own workspace. One of the best features of Live Share is that collaborators keep their personal development environment setups and settings. Team members can view and edit your code, but still use the extensions, settings, and customizations of their own personal text editor. No cloning repos or installing a slew of dependencies. In addition to basic functionality, like being able to simultaneously write code, collaborators have access to useful language features, like Peak Definition and Go to Definition, and even smart tools like IntelliSense and suggestions. As you navigate your codebase, you can see the position of your teammate’s cursor or highlights. A feature called Follow lets you mirror someone as they navigate around the codebase. The most obvious and practical use for Live Share is its shared debugging tools and terminal instances. With an easy way to share debugging sessions, collaborators can share breakpoints or independently use debugging features. Shared terminal instances contains the host’s settings and provide some additional tools for collaborating. You can even share a local server by exposing a TCP port. Seamlessly debugging through Live Share is likely to save you time and streamline the process of finding your team members’ bugs. Aside from its outdated icon, Live Share’s biggest shortcoming is its lack of compatibility. Live Share works between Visual Studio Code and Visual Studio, but if you’re a diehard fan of Atom or Sublime Text, you’re out of luck. As a result, Live Share is a micro-virality feature — a feature designed to encourage users to invite a limited set of additional users to an application or product. Live Share and Teams are both part of Microsoft’s bid to be the central collaboration platform for developers, competing directly with Slack, which also serves developers. With more than 2 million downloads, Live Share has clearly tapped into a growing need in the text editor and IDE world. Other solutions exist. Teletype for Atom provides basic workspace sharing and Floobits enables cross-editor editing on Sublime Text, Atom, and a few other editors. Both, however, lack the sophistication and ease-of-use that makes Live Share so valuable. For remote or distributed teams, Live Share is particularly useful. And if you’re training junior developers or running workshops, Live Share can be a transformative tool. Check out Microsoft’s video here for more info.